mark a tribe member's journey into adulthood. 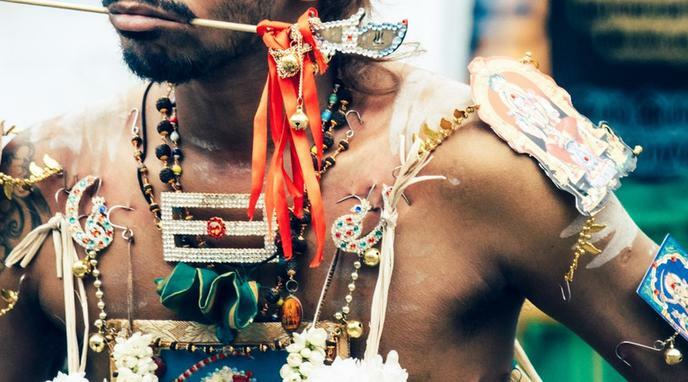 Sadhu Babas in India perform extreme self-abuse as an attempt to free their inner spirit. Buddhist tradition, self-immolation and hunger-striking employ the body as a means of resistance. "Shia" sect of Islam holds the practice of self flagellation as part of a mourning ritual to mark the death of the Prophet's grandson integral to its religious tradition. Mortification of the flesh has been prevalent in Christianity throughout history. The legality of something is not decided by how integral it is to a religion. Some integral rituals are being adapted in a way which continues tradition but avoids self-harm.